With an estimated 70% of people going online before buying a product or service combined with the reality that traditional phone books have become obsolete, having a 1st page Google ranking is absolutely essential, right? Correct. Getting there is no easy feat, especially if your industry is highly competitive. 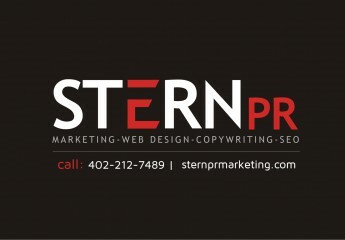 That’s why your business should outsource SEO Omaha firm work to Stern PR™. “Ranking high on Google, Bing and Yahoo is absolutely essential nowadays. 1st page position can make or break a business,” notes Marketing Consultant Susan Stern, who offers business affordable SEO services in Omaha, Nebraska, including internet marketing, video, copywriting, and website design. “I told her ‘thank you for reminding me, but candidly, our business is so busy lately, that we have neglected Stern PR’s own SEO. But thanks again for the reminder, we will get to it’ and we did immediately,” Stern told the business owner. A week or so later, boom. Stern PR™ achieved that 1st page ranking for the one keyword term that was not ranking right. Whew! The moral of the story? SEO takes regular, monthly work by a professional SEO Omaha firm. It’s not do-it-yourself. The fact is, if a keyword is not regularly worked on, your ranking for it will continue to fall, as had occurred to Stern PR™ for one keyword term, albeit briefly. In other words, if your business has declined to outsource SEO to an Omaha internet marketing pro and is not ranking high, then a competitor will take that business from you. Dollars down the drain. Back in the day, local businesses would spend on average about $300 to $900 per month on phone book listings. With phone books becoming obsolete, that money should now be invested in internet marketing. Count on Stern PR™ for exceptional monthly SEO/Social Media maintenance packages starting from $300 and up – depending on the competitiveness of your business and other factors. A word to the wise. No SEO Omaha firm should ever promise 1st page Google, Bing and Yahoo ranking – ever. If they do, run. SEO is not an exact science. It’s dependent upon third parties. So, the best a business can do is hire someone local with a proven track record of SEO success. Make 2014 more profitable! Outsource all Omaha marketing work to Stern PR™. For more information on monthly SEO packages, website design in Omaha, video and other services contact Stern PR Marketing™ today! We appreciate your kind words. Consider subscribing to receive automatic article updates news in your email box.